Want to submit a story for Space Fan News? Here are the guidelines to follow. Stories should be no longer than three minutes. Longer stories are possible, especially if you are reporting on a popular or 'big' story, but try to stick to the three minutes if you can. If you don't have a YouTube acct, you can also submit your story via Google Drive, iCloud or Dropbox, or some other online storage system. Dropbox has a free account that gives you 2GB of storage and Google Drive gives you 15 GB free with Gmail. I'm hoping that you'll want to get involved and send us stories for inclusion in our weekly space news show! I believe that by getting our Space Fan Community more involved that our show will grow beyond just a 'one-man band' presentation into a viable news source for people like us around the world! Tony Darnell is the creator of Deep Astronomy, LLC, a company dedicated to sharing the wonders of the universe and providing perspective of our place in the cosmos. For most of his life, Tony has been interested in science communication and education and has dedicated the best part of his life towards that interest. 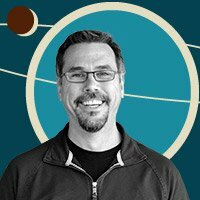 While embarked on that mission, for 30 years Tony has also worked as a software engineer and worked on writing code for telescopes, astronomy data pipelines, image processing and data analysis. His last gig was the goal of a lifetime: working on data from the Hubble Space Telescope.